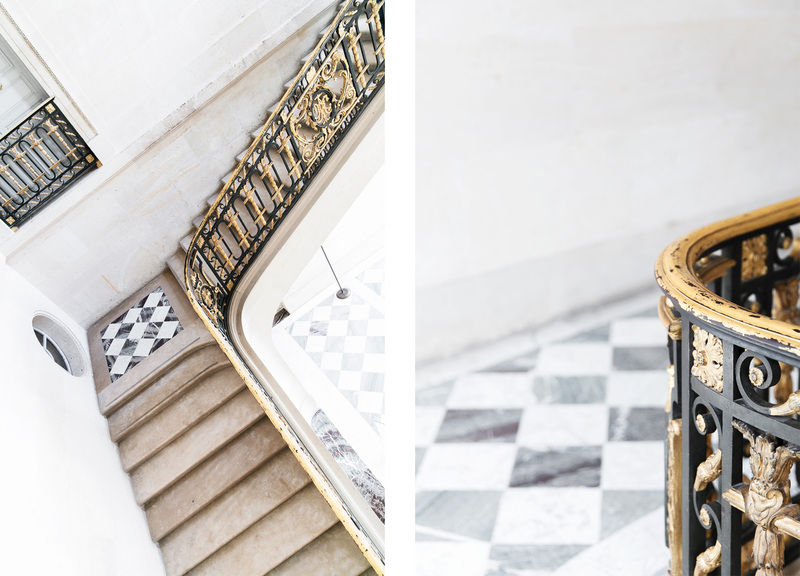 A few weeks ago I had the pleasure of venturing outside of Paris, to spend a little day in Versailles together with Dior in order to see where they've drawn inspiration from for the latest high jewellery collection. This is a place I've actually only visited once before (I'm so embarrassed to admit this after living in Paris for a couple of years now) and definitely a place I need to come back to (at least like 10 times). I've yet to see the grand hall of mirrors, or the inside of the huge palace, but one day I'll make it there as well! During this private visit together with Dior, we got to see the most beautiful part of Versailles, which used to belong to Marie Antoinette. We got a little peek inside her private theatre, her mansion where she used to entertain her guests and the beautiful gardens surrounding the estate. I should have brought the picnic blanket for this one! Or maybe even a couple of suitcases... I am looking for an new apartment after all.